Now you can make your own natural fruit yogurts! I usually buy a bunch of berries, frozen or fresh, add them to my cup of yogurt, stir in some honey and have a go! At times, I eat it plain, sometimes I will add some granola to it, or I just pour it over my morning cereal. This is my one year olds’ favorite snack, and she likes it plain! I’ve tried this with all types of milk (organic, Vitamin D, 2%, even skim milk), and it works every time. Truthfully, though, it tastes best when made with 2% milk. Pour the gallon of milk into a deep stainless steel cooking pot. Bring the entire gallon of milk to a boil; watch it closely so it doesn't spill over. You want to let the milk cool down to about 100 degrees fahrenheit, or a bit warmer than "body temperature". Add the the yogurt and mix it very well; cover the pot with a lid. Wrap the pot with an old bath towel. The idea is to keep the milk warm; this process is called incubation. Set it on top of stove overnight. The next day, remove towel and lid. Don't worry if it looks grainy - that happens because the mixture is still warm; it will smooth itself out after a few hours. 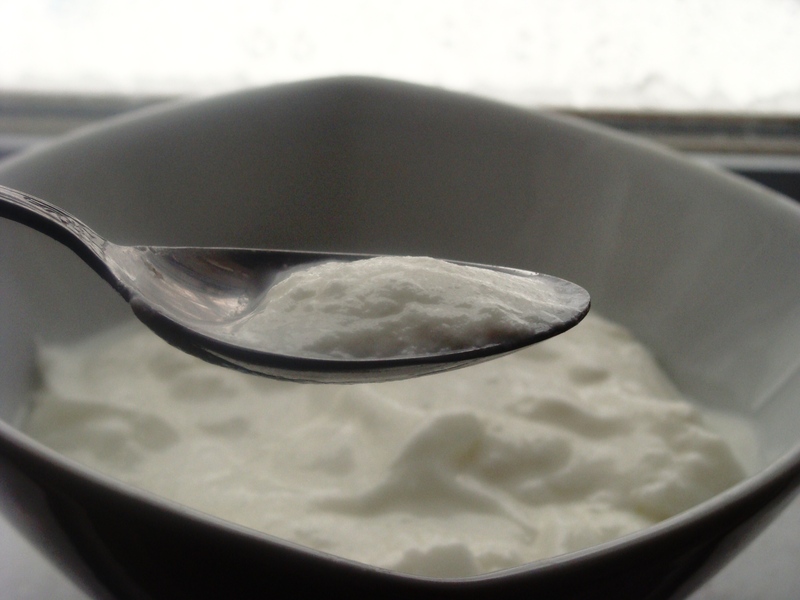 Put yogurt in the fridge; let stand for a at least 5 hours, or until thoroughly chilled. Give it a gentle stir and serve. **Left over yogurt? Pour the yogurt in a colander and line two layers of cheese cloth over the yogurt, then place the colander in a bowl. Allow the yogurt to drain for 24 hours in the fridge. The yogurt will thicken, and once you salt it, it will become cheese! This is a delicious spread for your crackers, toasts, or wherever else you desire to spread some cheese! Don’t warm it up. Just let it thaw out on its own in the fridge. Do you think this would work using almond milk? Also, curious as to why you have to wrap the pot in a towel? Or why do you have to cook the milk… would it not work if you just mixed the milk and yogurt and let it sit on the counter over-night? Also, does it have to be that exact brand of yogurt or will any yogurt work to mix with the milk for the first batch? Alrighty, so an update from moi: I have been playing mad yogurtist over the past few weeks, trying different methods and ingredients and ratios of, for making yogurt. I have trie now with soy, almond, and skim dairy milk. Soy = not bad, dairy = best results, and almond = I’ll leave this stuff in milk form from now on!! Yikes! So far my favorite method has been using an electric heating pad to keep the yogurt warm during incubation – and I find that the texture becomes much smoother after several days in the fridge! (Initially it was very grainy textured… looking into reasons for this). Yesterday I tried using the thermos method for incubation, so I will be trying my results later today…. though, I did look (and sniff) in on it this morning and it looks great, but smells like that -it’s been in a stainless steel thermos- smell…. which is why I hate those stainless steel water bottles that everybody else seems to love… they always smell funny and make your water taste just awful! So… we’ll see what comes of the yogurt…. it was just 1 cup, so I won’t be too sad if it was a flop…. save for the fact that I won’t get to eat my yogurt when I want to eat my yogurt!! If you give it a try, please let me know how it turned out! Nice and Easy! Great recipe, I give you thumps up!